Dr. Bruce Merry has been appointed as the CHPC/UCT Postdoctoral Research Fellow in Computer Graphics. 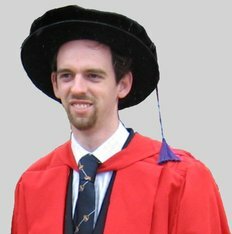 He will be undertaking research in the area of GPU-acceleration of algorithms for cultural heritage reconstruction, analysis and visualisation, focusing on the use of distributed GPU computing to address problems arising from the massive and varied data-sets generated by the scanning of cultural heritage structures in Africa. A secondary area of research will be the investigation and development of GPU-cluster solutions for other applications, such as graphical simulation tools for the local Visual Effects industry. After completing his PhD in the computer graphics at UCT, Bruce was recruited to work at ARM, based in Cambridge, England. While ARM is best-known for their low-power CPUs found in the majority of mobile devices, Bruce worked in ARM's low-power GPU business, developing tools, middleware, drivers and GPU architecture. He also represented ARM in the Khronos industry standards consortium, making contributions to the OpenGL and OpenGL ES standards.